Master Fader has benefited from user input throughout its development. 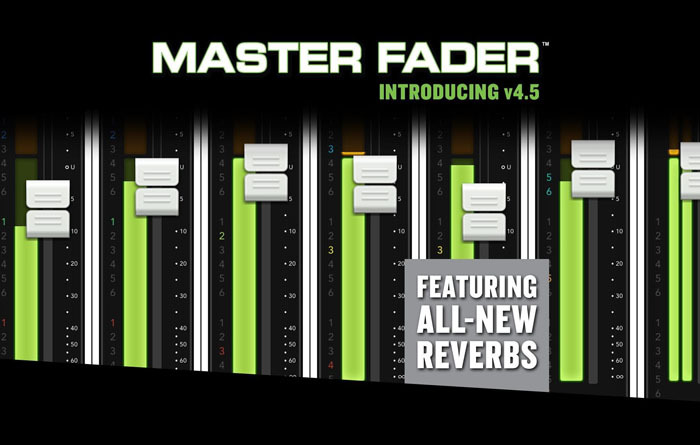 With the all-new Master Fader v4.5, we've been able to address the number one user request: new, better-sounding reverbs! Not only will this help existing customers to create better mixes, it is also a great conversation starter for anyone interested in the AXIS Digital Mixing System. Mackie has stepped up their algorithms to meet the demanding needs of the pro market! There's a lot more to this update, so read below for full details. Mackie have spent serious time and development on a completely new set of reverb algorithms that are a true sonic step up for any Master Fader user and you will be excited to hear them. More realistic in every way and offering a whole range of new setting options, your next mix will benefit from the richness and depth of the all-new reverb and expanded control options. 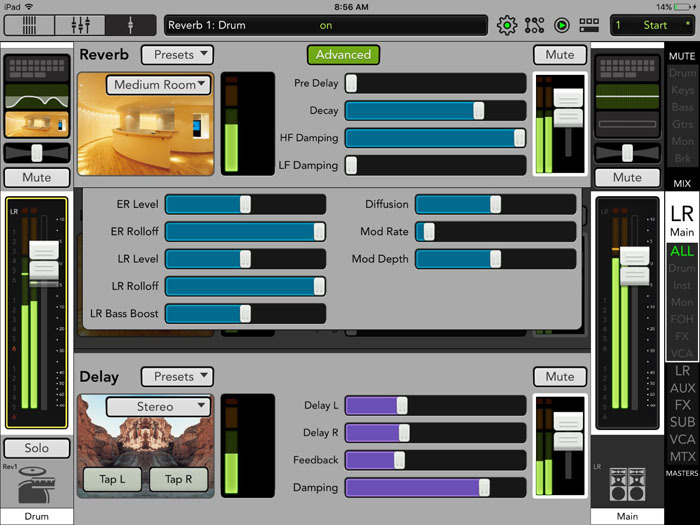 With this added level of control, you can build the perfect reverb for your application and save all of those details for easy recall later. Adding another incredibly useful live sound metering capability, a spectrograph measures and displays the frequency content of a source in a highly-visual, very actionable way that can take the guesswork out of many EQ tasks. Mackie have added a Spectrograph option alongside the RTA to deliver more choice for you when EQ'ing an output. 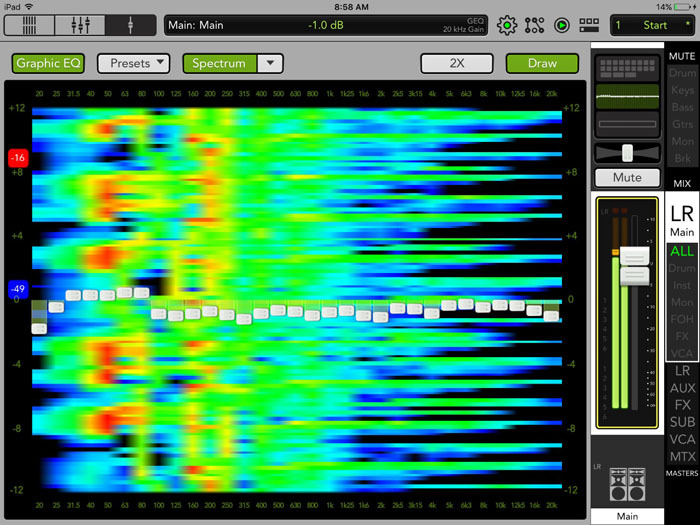 A spectrograph can help you balance volume across the audible spectrum, resulting in a better mix for your audience. It also, makes it even easier to find and eliminate feedback. Outputs aren't the only place to use an RTA or Spectrograph. Having access to this on inputs can really help dial things in during soundcheck. Solo a specific source and see its exact frequency content so you can make adjustments quickly and easily. The RTA and Spectrograph are now available for view on any input channel. 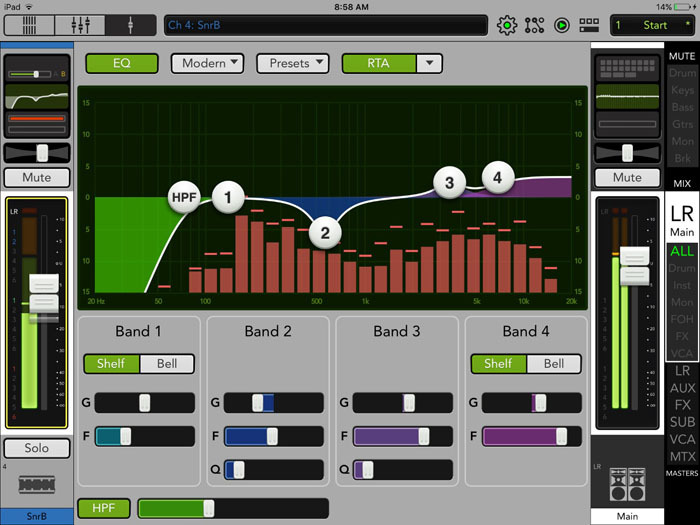 Bring one up under your channel EQ during soundcheck and quickly see where you need to make adjustments. 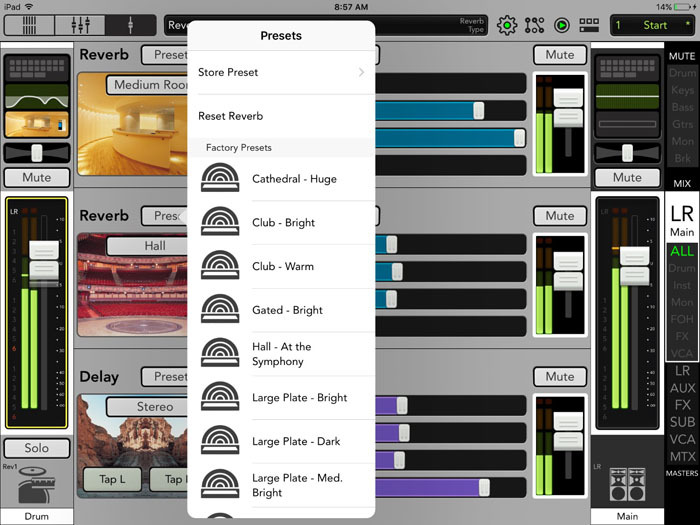 While Mackie were knee-deep in new reverb development, it was a great time to address all of the factory presets. They didn't stop with just the reverb; all EQ, dynamics and FX presets are completely new, offering an even better starting point for any user. Plus, of course, you can save your own presets as needed. Want more control over your metering behavior? Mackie have got you covered with new metering ballistics options. You can now choose how long the meter holds your RTA peak, new meter peak and meter clip values. This is just another level of control that delivers the customized experience you deserve when mixing. Now, when you recall an FX preset, you no longer need to re-tweak the associated FX return EQ. Man, how many hours did you waste doing this? The new implementation automatically recalls and applies that FX return EQ when you recall an FX preset. Science!